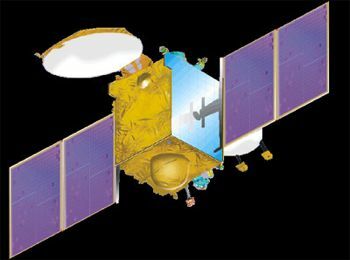 Indian 2000-kg class satellite bus for use in geostationary or planetary missions. Dimensions 1.65 m � 1.53 m � 3.0 m, dry mass 600 kg, payload 200 kg, power system 2800 watts, design life 12 years. AKA: Hylas;Insat. Status: Operational 2001. First Launch: 2001-04-18. Last Launch: 2015-08-27. Number: 11 . GSat 1 Experimental Communication satellite built by ISRO for Insat, India. Launched 2001. Used the I-2K (I-2000) Bus bus. GSat 2 Experimental Communication satellite built by ISRO for Insat, India. Launched 2003. Used the I-2K (I-2000) Bus bus. 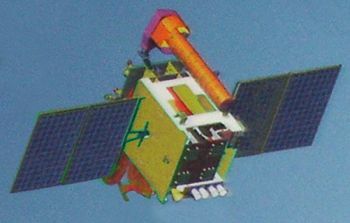 Insat 4C, 4CR Communication satellite built by ISRO for Insat, India. Launched 2006 - 2007. Used the I-2K (I-2000) Bus bus. 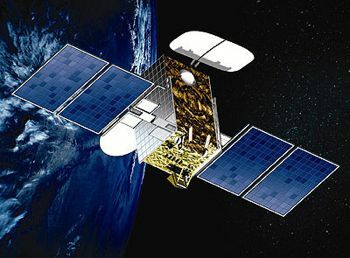 HYLAS 1 Communication satellite built by EADS Astrium (payload), ANTRIX/ISRO (bus) for Avanti Communications Group plc, UK. Launched 2010. Used the I-2K (I-2000) Bus bus. GSat 5P Communication satellite built by ISRO for Insat, India. Launched 2010. Used the I-2K (I-2000) Bus bus. 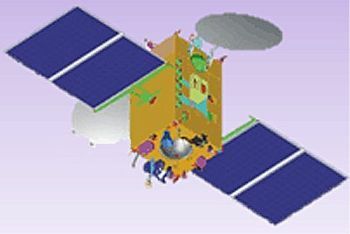 GSat 14 Communication satellite built by ISRO for Insat, India. Launched 2014. Used the I-2K (I-2000) Bus bus. 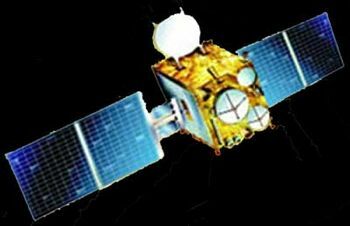 Insat 3DR, 3DS Meteorology satellite built by ISRO for Insat, India. Launched 2016. Used the I-2K Bus bus. Family: Communications. Country: India. Launch Vehicles: PSLV, Ariane 5, GSLV, Ariane 5ECA, GSLV Mk II. Launch Sites: Sriharikota PSLV, Kourou ELA3, Sriharikota SLP. Bibliography: 6579, 12628, 12629, 12630, 12631, 12632, 12633, 12634, 12635. 2010 November 26 - . 18:39 GMT - . Launch Site: Kourou. Launch Complex: Kourou ELA3. LV Family: Ariane 5. Launch Vehicle: Ariane 5ECA. Hylas 1 - . Mass: 2,570 kg (5,660 lb). Nation: UK. Manufacturer: ISRO. Class: Communications. Type: Civilian communications satellite. Spacecraft: I-2K. USAF Sat Cat: 37237 . COSPAR: 2010-065A. Apogee: 36,052 km (22,401 mi). Perigee: 35,522 km (22,072 mi). Inclination: 0.10 deg. Period: 1,436.10 min. Ka band communications; 2570 kg loaded / 1125 kg unfuelled..
2013 August 29 - . 20:30 GMT - . Launch Site: Kourou. Launch Complex: Kourou ELA3. LV Family: Ariane 5. Launch Vehicle: Ariane 5ECA. 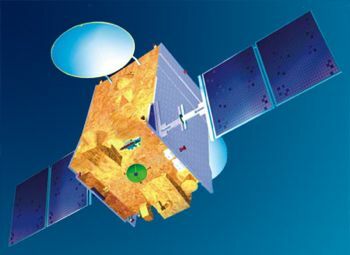 GSAT-7 - . 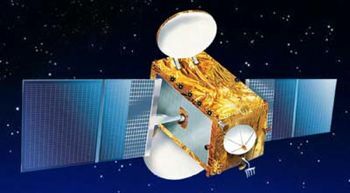 Payload: Insat 4F. Mass: 2,650 kg (5,840 lb). Nation: India. Class: Communications. Type: Communications satellite. Spacecraft: I-2K. USAF Sat Cat: 39234 . COSPAR: 2013-044B. Apogee: 35,811 km (22,251 mi). Perigee: 35,762 km (22,221 mi). Inclination: 0.0400 deg. Period: 1,436.09 min. Communications satellite for the Indian Navy..